Finally - an investment opportunity that can provide REAL results & feedback. The stock market & foreign exchange is fine if you like to give someone your money & wait for them to tell you that you've made more or lost it all. But if you want a better investment, start a business. Better yet; Start a business that already has an established market for its products. Now when you choose a business that has historically done well, be sure that it is likely to continue its success. Maybe it was a good idea to invest in the fixed line phone business 10 years ago, but now mobile phones dominate the communication market. Construction is on a rise! The population of the world is growing exponentially & housing is becoming a problem. With more people comes more requirements for jobs. New job seekers join or start new businesses which require more developed land for offices, warehouses, factories, etc. All of these expansions humanity makes ultimately requires bricks & blocks to build the foundations & structures for society. In South Africa, an M6 cavity block was selling for R3.60 in 2007. 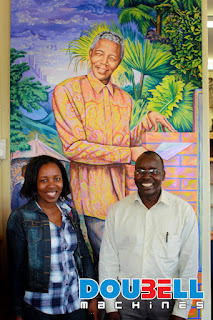 Now it has been selling for R9.10 in 2012! That's an annual growth of 16.76% ! But if you look year-for-year you find that it's actually an exponential growth pattern! each year the growth rate is actualy INCREASING as the supply is exceeded by the growing demand. Option 1: Start a brickyard. It's a good business, but it still requires some opportunity hunting, administration & resource monitoring. 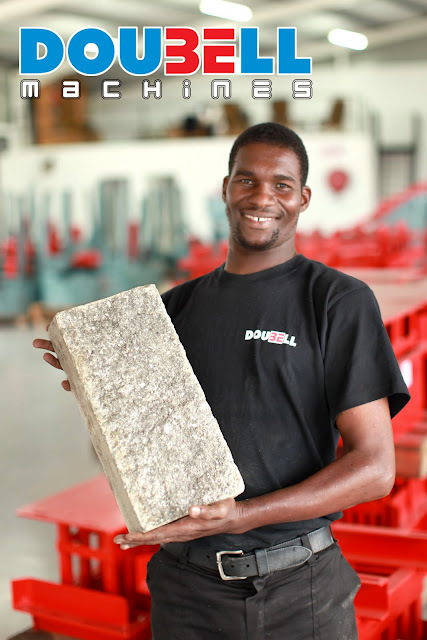 Of course you gain access to your own building material supply at half the cost. People start brickyards because they do work - you make profit on low volumes; confident of your quality; can work to a schedule you can keep (not waiting for delays); cut out transport costs for delivering the bricks (make on site!) & use the bricks yourself as you need. Also, unlike bananas, bricks don't "expire" or have a sell by date! They just keep getting stronger! Option 2: Start a Doubell Machines outlet. 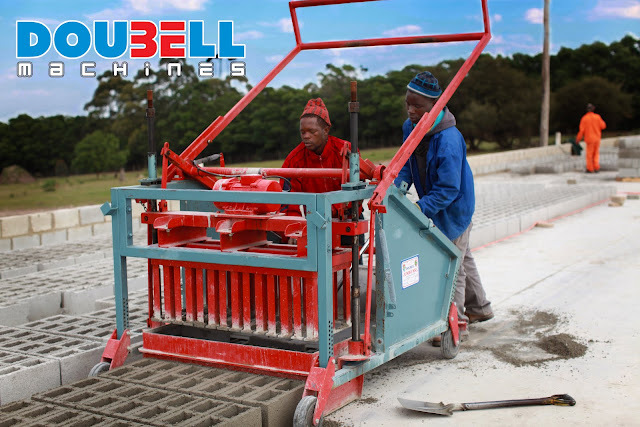 A new opportunity from Doubell allows for the distribution of machinery in your area. We want to be able to assist all the foreign enquiries we receive each day with some local support. If you are in an area that still has more grass & trees than houses & buildings, then you are in a prime spot to offer a tool to manufacture building units (bricks) to local specification & standards! A franchise agreement offers the best confidence in a business start-up. 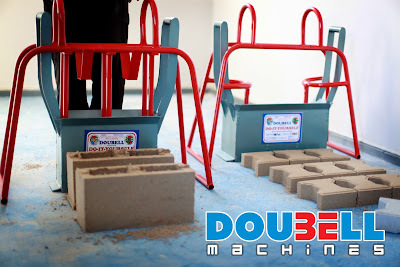 The primary benefit is the SOLE DISTRIBUTION of Doubell Machines in your country. No machinery enquiry will be serviced outside of your assistance. No customer can buy direct from the factory. All your marketing will be for your own franchise benefit - not competitors. Trade under the well-represented DOUBELL name. A product familiar in the market place. A company with evidenced experience in brick manufacture. Local warranty offering. With franchisees, we hope to expand our 2 year warranty to foreign markets, giving our machinery the advantage that matches our confidence. 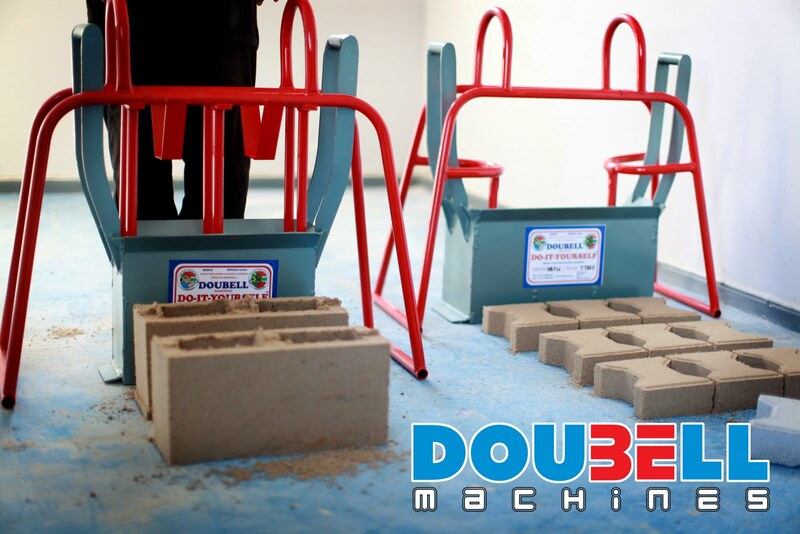 Customers know that they are buying high standards when they buy Doubell. ISO9001-2008 certification. As an optional extra, we can extend our SABS ISO9001 certification to cover the franchise branch in the country of operation. As with our factory, it will signify that management of the local business is aligned to the world standard - from product conformity to customer relations. Training on machinery to assist customers with their technical difficulties. International Marketing benefits. You will be listed as the local representation on the international website & all contact documentation. Neighbouring countries will likely prefer to purchase from the franchisee than a distant exporter. You will have access to all pamphlet & marketing material to utilise with local customers. Other benefits include clever transport reduction prices as well as blanket franchise purchase discounts with no enforced targets. Like all franchises, there is an annual licence fee, but with all the benefits & a good sense of business, an astute entrepreneur can certainly dominate the local market. For the best business returns, an established distribution chain is preferred or at least a related local business; However this is not a requirement for an individual serious enough to sign on the licence. We look forward to see your clear business vision in the near future!